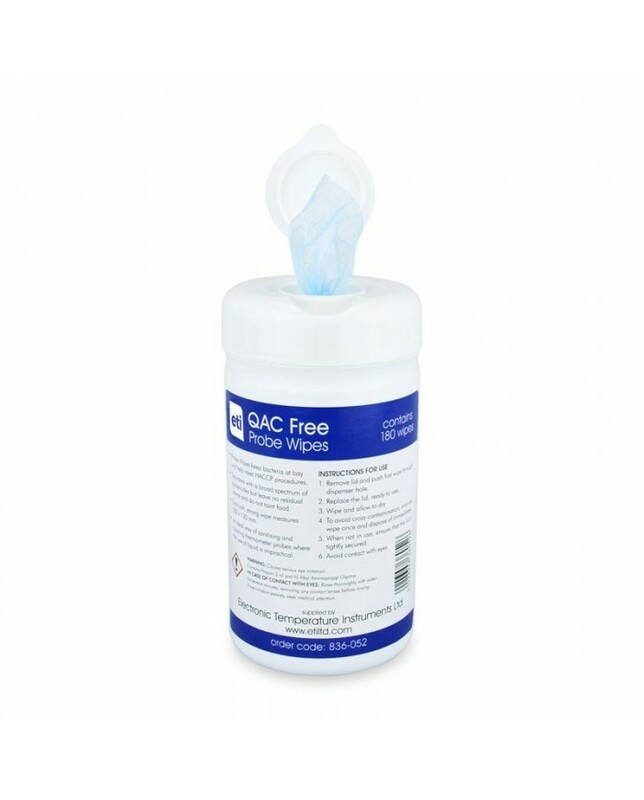 Probe Wipes / Catering Wipes, QAC free, in a handy resealable tub - each tub contains 180 blue antibacterial QAC free Probe-Wipes, each wipe measures 130 x 130mm. Convenient and easy to use these anti-bacterial wipes are effective against, listeria, salmonella and other kitchen nasties. An optional wall bracket is also available enabling a single tub of wipes to be conveniently positioned.